The output video files can be used on popular multimedia devices such as PSP, iPod, iPhone, MP4 player, mobile phone, Zune, etc. 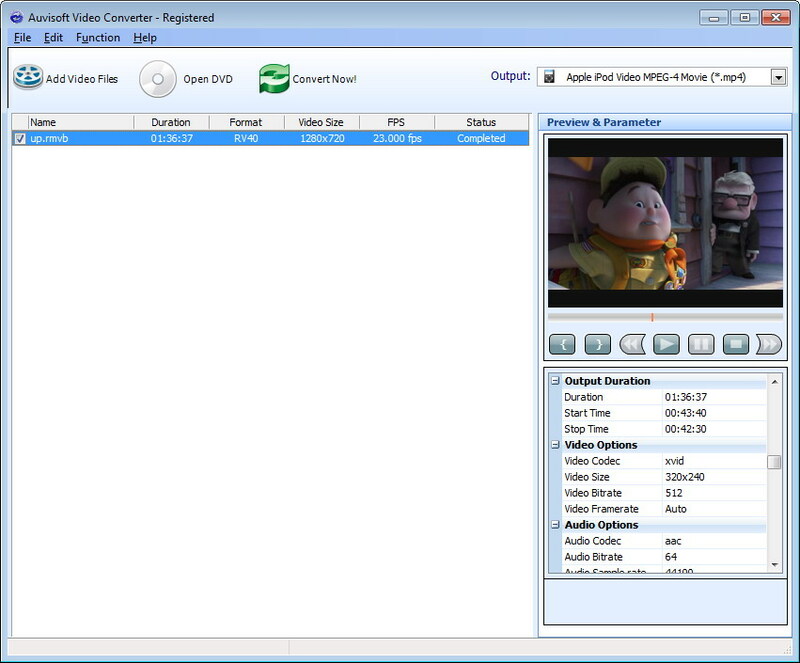 Auvisoft Video Converter can also convert video files to audio formats such as MP3, OGG, WAV or WMA. Compare with AVI-FLV-MP4-WMV Converter, Auvisoft Video Converter supports more multimedia formats, but sells at same price(after discount).